2017 - The Year I Found My Dead Dad! As I approach the end of 2017 there's a lot to look back on. So many issues have caught my interest this year - Brexit, and what a mess it is being made of by the government - The 'Government', led by Theresa May who called an election in the hopes of raising her majority in parliament only to wipe it out completely, yet still she clings to power and continues to do so much damage to the social fabric of our country as well as our standing around the world. My main hope for 2018 is that Jeremy Corbyn's revitalised Labour party can sweep the tories away and begin the process of healing we so desperately need. ​But, my overriding memory of 2017 will be that I found my Dad. After more than twenty years Peter Smith (only my step-father but father in every other respect) was raised from the dead - quite literally! I had heard through the grapevine that he had died in 2009 and, since I hadn't seen him since around 1996 when he was in poor health after a motorcycle accident, I pretty much accepted that I had missed the boat to rekindle our relationship. But then a chance phone call with my brother revealed the fantastic news that Peter was still alive! ​I went with my brother to see him on 19th November and we chatted as if the years hadn't passed. We laughed and joked and quizzed. I told him about my daughter and showed him a photo. He even played his drum set for a short time - though he was clearly still in very bad health. He laughed when I told him I'd heard he'd died in 2009 and even confirmed the story when he recounted a visit to his local pub where his friends were surprised to see him having also heard of his demise! We parted with an exchange of mobile numbers and a promise to keep in touch. I felt ecstatic to have found him again - the only father figure I ever had. ​On Friday 24th November Peter Smith died. He had been rushed into hospital on the day after our meeting with breathing difficulties. I only saw him on two more occasions - Wednesday 22nd when I woke him as he sprawled in a hospital chair with an oxygen mask attached to his head. His first words were "They've given me two weeks. I hope so. This is no fun!" I saw him again on the evening of the 23rd and introduced him to my daughter and wife - who he cuddled and thanked for coming to see him despite his obvious discomfort. As I was leaving I told him I would see him again the next day and he said "No, this is it." as if he knew or wanted this to be our last goodbye. With voice breaking I told him I loved him and he gave me the thumbs up! ​Dad's best friend growing up in Middlesbrough in the 1950's became a member of the rock group Free. They had remained in touch despite their very different lives and he even wrote a beautiful eulogy for Peter's funeral, after which we played the following track. Having found and lost my Dad in the space of just five days I truly hope that he is All Right Now. Love In A Hopeless Place-How Do Fibro-Warriors Find That Special One? It is difficult enough living with fibromyalgia. The daily battle to just get out of bed and tend to everyday tasks that leaves us exhausted. The constant pain in one area or another or even all over our bodies, not to mention the struggles we have with umpteen other 'associated' symptoms. Why would anybody want to have a fibromyalgia sufferer as a partner? I have worked all of my life - barring a short spell of unemployment back in the 1980's - I like to work. I've had fibromyalgia for most of my life - diagnosed in 2003 - developed crohn's disease in 2007. 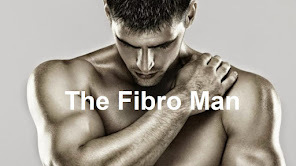 I operate a website for men affected by fibromyalgia: www.fibromen.org - pay us a visit to learn more. 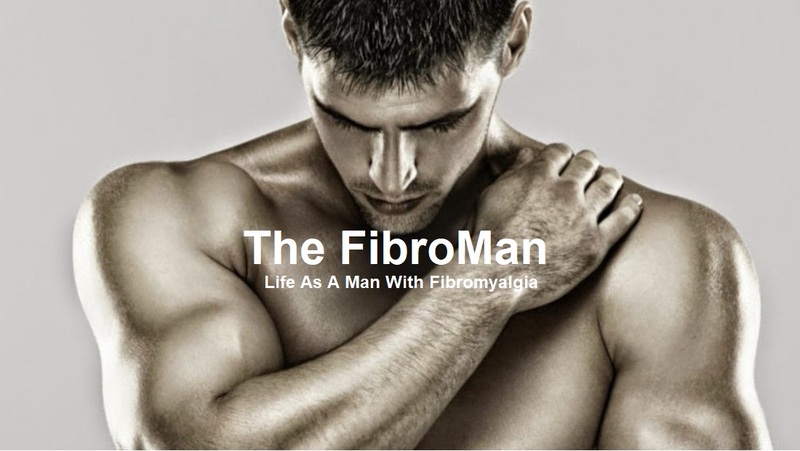 This is a personal blog about my life as a man with Fibromyalgia. I do not seek to provide advice and nothing on this blog should be taken as such. 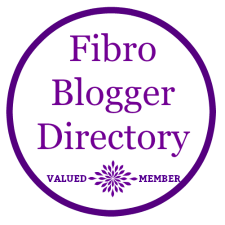 The content is written to show my experiences with Fibromyalgia. Your experiences may be similar or completely opposite to mine. Always consult your medical professional for support and advice, especially in regard to medicines whether prescribed or shop bought. I sometimes monetise my posts - predominantly via Google's AdSense program - and, from time to time I may write sponsored product reviews. All such posts will be clearly marked 'Sponsored' in the title and body of the post.